It’s the Dice Men’s 150th episode! Can you believe it? No, neither can we but we did it, so take that mum. 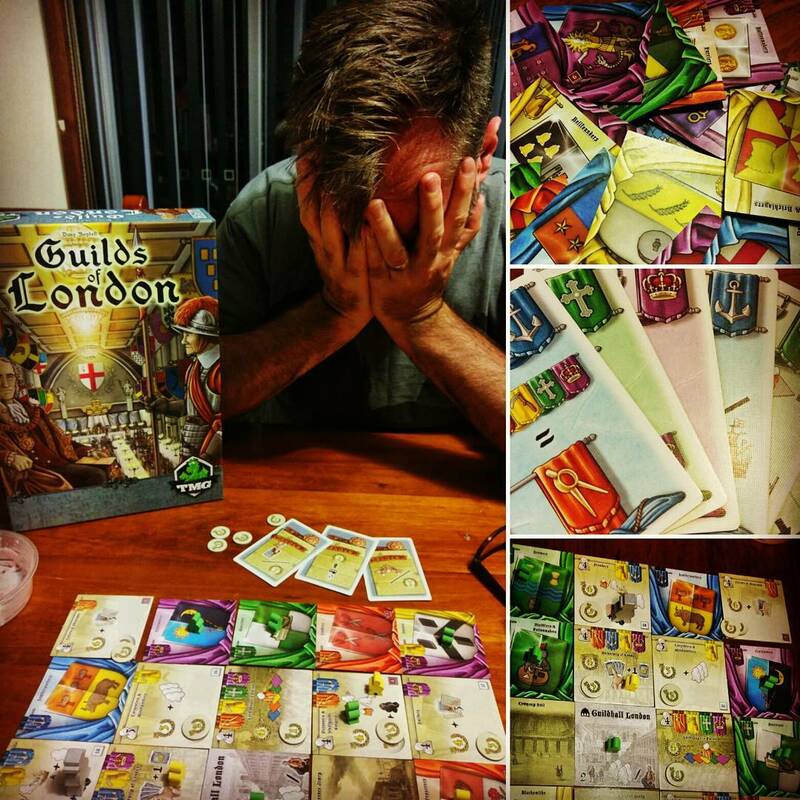 Join Mark, Trent and Garth to talk Euro gaming goodness from TMG, with Guilds of London. There’s some disagreement about tracking game plays. And lots of chat about the past, present and future of the show, with special words from some of our extended Dice Family. Thanks for listening! Another great title from Tasty Minstrel Games – Guilds of London. Mark crushed Trent in his first game! Listen to Episode 150 for our views, coming soon.